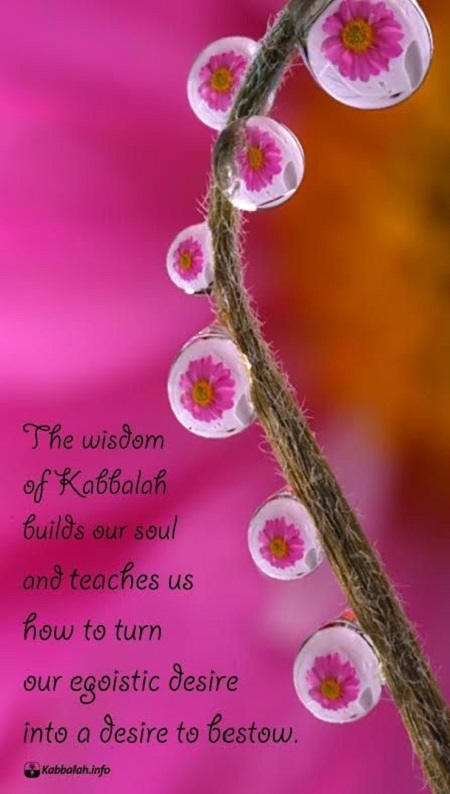 The wisdom of Kabbalah builds our soul & how we turn our egoistic desire into a desire with the aim to bestow. Everything around me is the structure of my own soul. This is why everything depends on me coming out of myself and connecting to the other souls, by feeling their desires as my own. But after the soul’s breaking and fall into egoism, I started desiring to use these other parts of me egoistically, to receive everything they have. Now I have to go back to bestowing to them. I have to reconnect them to myself through love, and that is how I will reveal the Light of my soul—inside them.